Select the name of the employee from the Employee list. 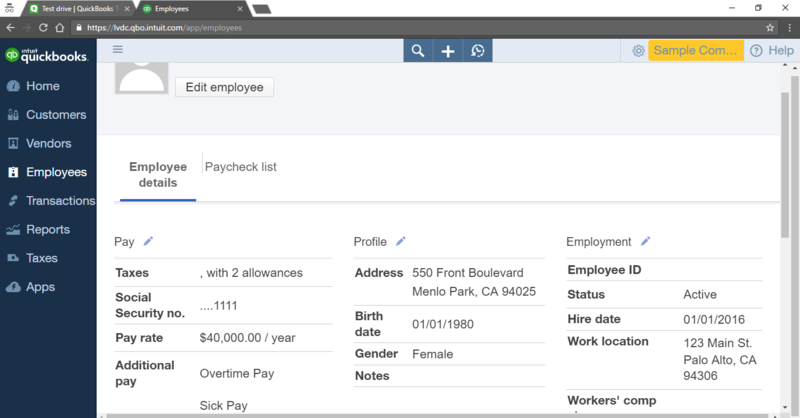 Under Employee details, click “Pay” the pencil icon. 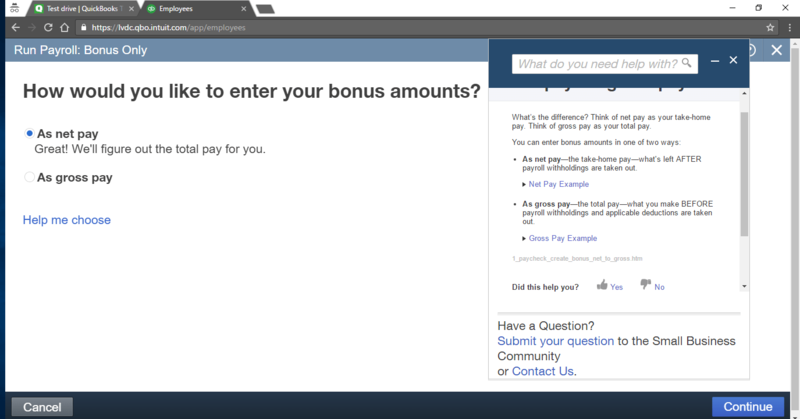 Under question number three, click “Pay” the pencil icon again. 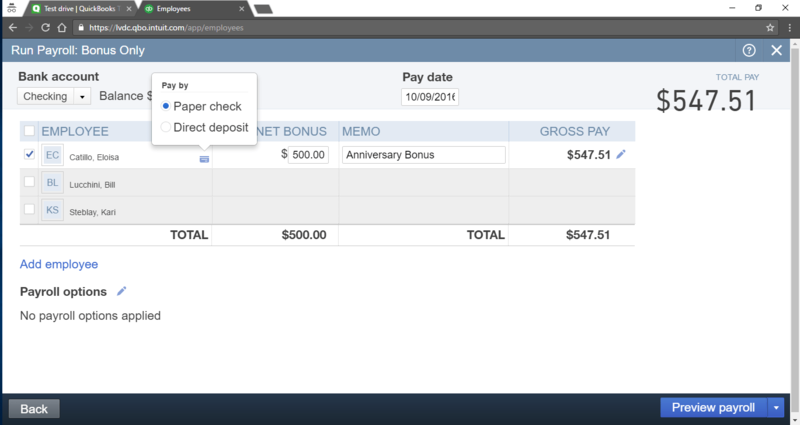 Next to the Run payroll button, click the drop-down arrow. Click Bonus only (at the upper right corner). Select As net pay or As gross pay. To pay by paper check but not direct deposit, click the lightning icon, then switch “pay by” to paper check from direct deposit. It should also calculate employee taxes for that bonus amount. Enter check number to print. 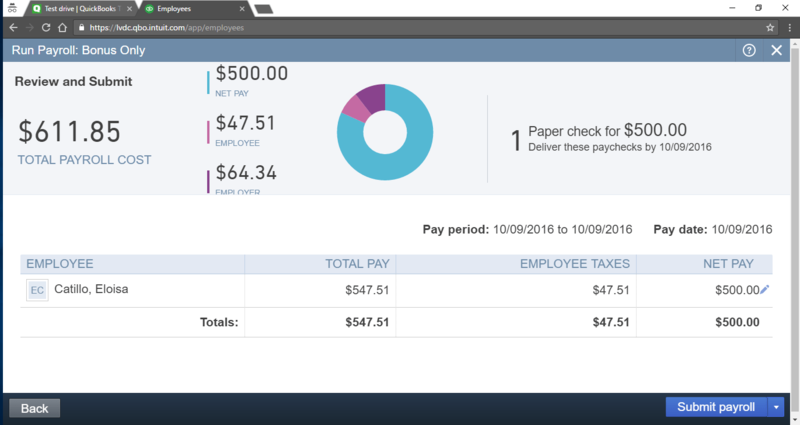 Select Print paychecks button to print. 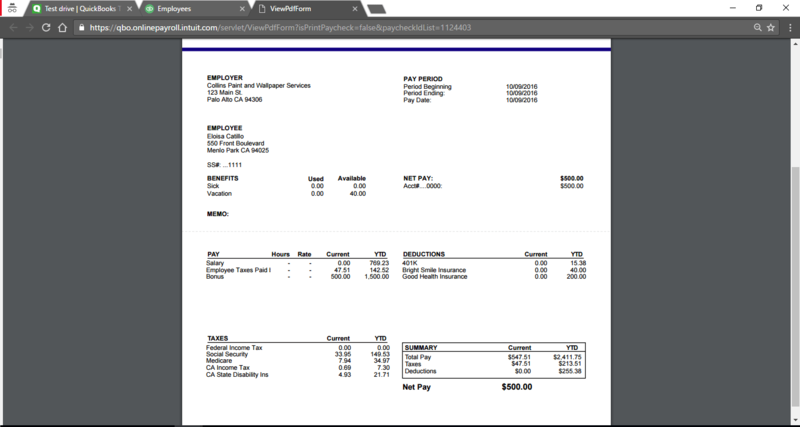 Under Employee, click the Run payroll button. 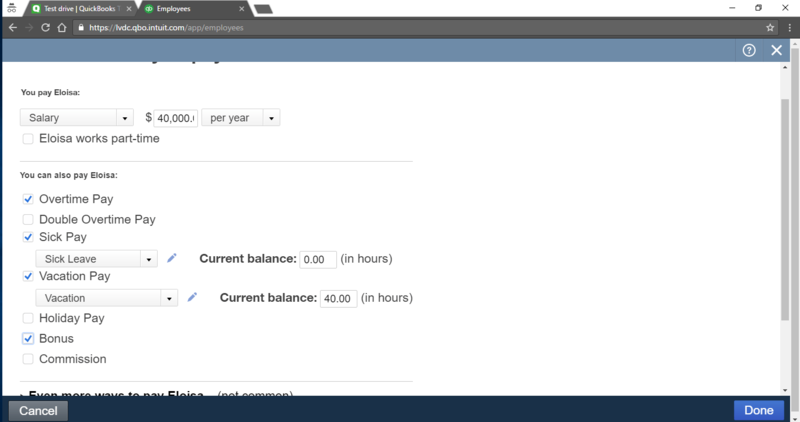 Select the Pay Date and the Pay period. 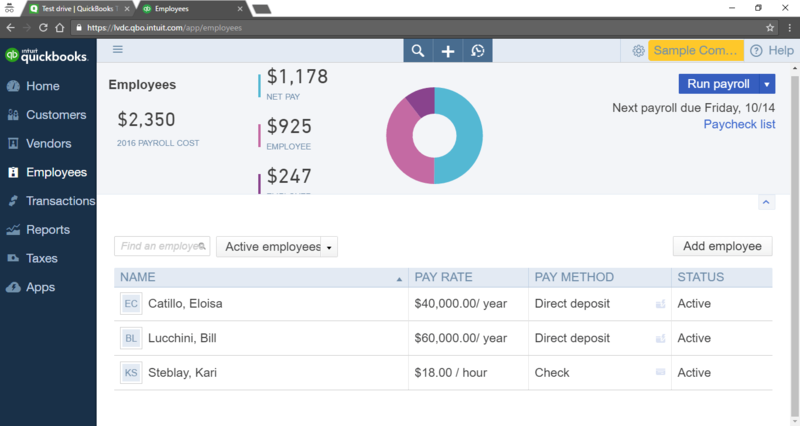 Click the Preview payroll button. 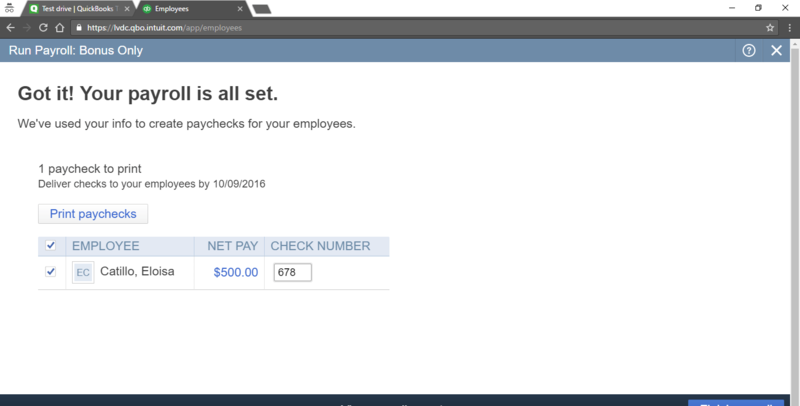 Click the Submit payroll button. 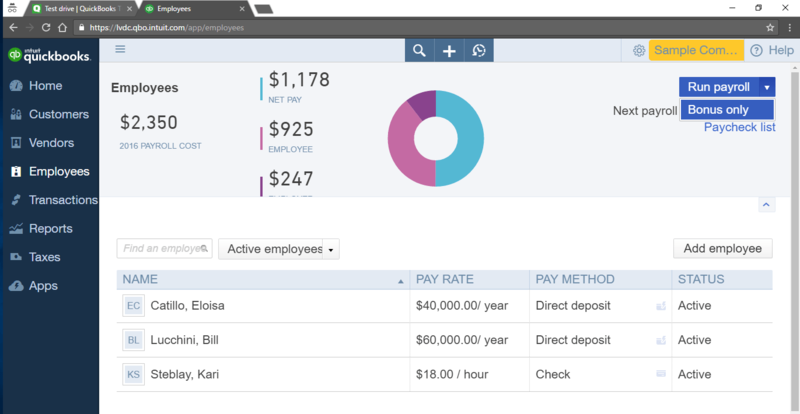 Click the Finish payroll button.